Revitalizing face lotion that visibly smoothes, tones and boosts radiance. Apply daily to clean face and neck, morning or evening. The vital first step to your anti-aging routine, this line-fighting face lotion—with energizing Teasel extract and radiance-making Acerola extract—works deep within the skin’s surface to refresh, de-stress and boost skin’s vitality. Hydrating formula leaves skin soft, toned and velvety-smooth. Preps skin to receive the full benefits of the Multi-Active formulas to follow. *Satisfaction test - 86 women - Upon application. 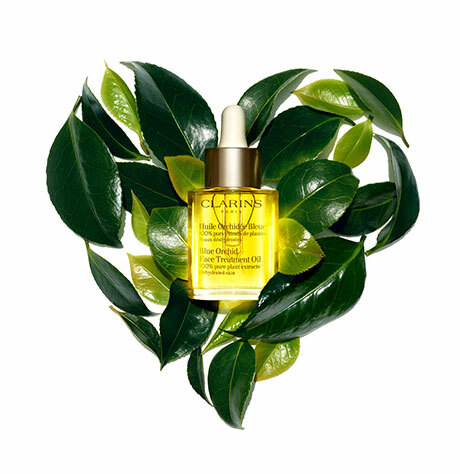 Rich in Vitamin C, this extract boosts skin’s radiance. Helps protect skin from stress linked to aging. Apply to clean, dry face and neck with fingertips or cotton pad, avoiding eye area. Follow with Multi-Active Day and/or Night Cream.